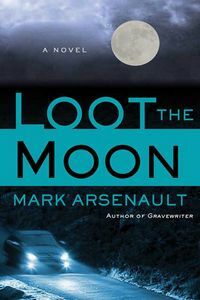 Loot the Moon by Mark Arsenault: Synopsis and Online Purchase Options. Synopsis (from the publisher): Former journalist and beaten-down gambler Billy Povich returns to aid Martin Smothers, the Patron Lawyer of Hopeless Causes. Martin's old law partner, the well-respected superior court judge Gilbert Harmony, has been shot by a thief who dies in a car crash. The cops close the case, but Martin doesn't believe a two-bit shoplifter would suddenly kill a judge — somebody must have paid him to do it. The suspects range from a vengeful mobster to a jealous brother to the judge's widow, and — oops — his mistress and her son. And as Billy comes closer to the truth, it isn't long before the killer takes aim at him.